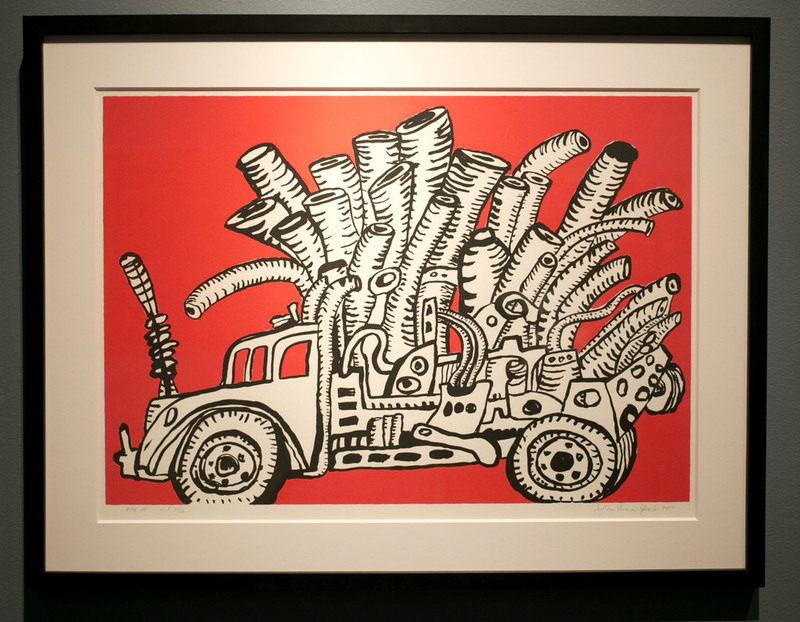 The Sioux City Art Center has another moving exhibition on display, TRUCKS by well-known Midwest artist John Himmelfarb. At first glance, one would think his work consists of beautifying trucks through painting, drawing, and sculptures. But if we take a moment to look deeper, it’s evident that he is creating a dialogue between these trucks and his viewer. He makes us think about how the trucks are more than a mode of transportation. They have been an aid in carrying equipment, products, and people for decades. They have impacted the lives of generations. They are an important part of communities. Himmelfarb’s statement about his work made me think about the relationship between trucks and people. What did he mean by trucks representing our histories, character, and coping mechanisms? 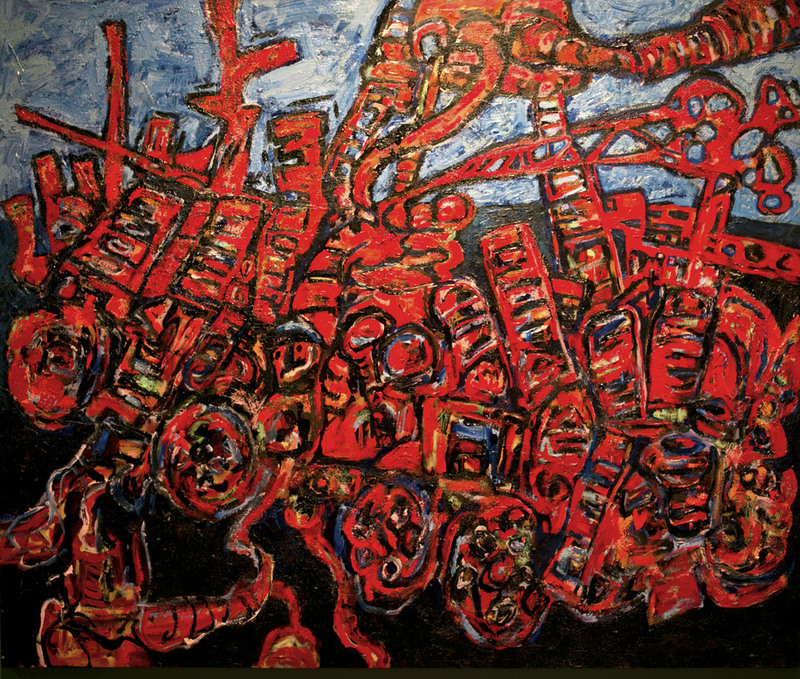 Then it hit me, while viewing his Juggernaut piece: we are like trucks, carrying baggage throughout our entire lives. Our thoughts and emotions are impacted by the pieces of our past that we carry with us. Himmelfarb represents human emotions in this series through color, composition, and scale. He gives us insight into things that we may be holding onto and need to confront. Himmelfarb’s TRUCKS exhibition is not only about showcasing iconic trucks, but also focusing on how our past shapes our present. Trucks were and continue to be a way to transport goods and bring items to people in need. They represent change and a deep rooted history of hard work and dedication. Himmelfarb asks us to view his pieces with these sentiments while also seeing a part of ourselves in the work.